As part of a bigger commission, I was tasked with building a Custode model that was similar to the one seen on the cover of the book, The First Heretic. While we made some changes to the model and it ended up not being an exact match to the cover, I think we captured the feel of the Custodian armour. Those two handed weapon poses can be tough too. You don't realize how "off" the heroic scale can be until you get into these kinds of things. 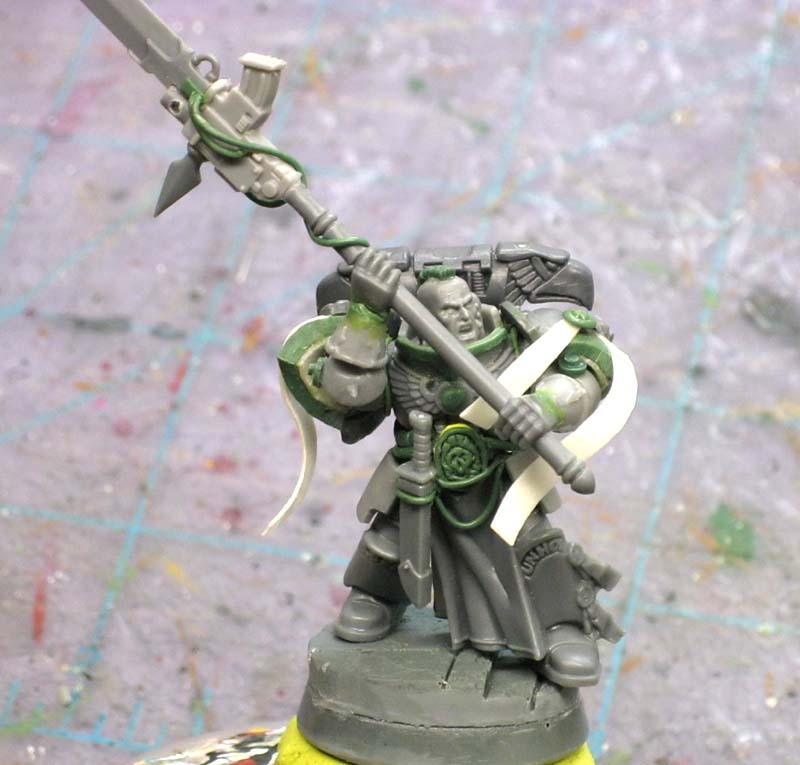 I'm going to touch on the key points for this guy like I did for the Chaplain conversion. There were a number of things I tried to replicate in this model in order to capture the feeling. The first I was missing was reference for the lower torso. There's lots of art out there and everyone has their take on it. I decided to combine a few elements from here and there into something that would fit with what I had for the upper torso. 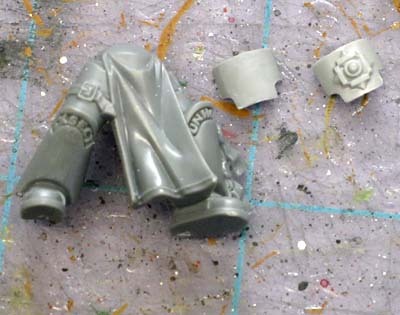 My initial plan was to use some of the ornate Blood Angel legs, but after Grey Knights came out, I decided to go with a set of those to have the front tabard and the armour without the articulated knee joints. I choose that because of the elbows and modified shoulderpads on this guy. I knew if I kept one part of his armour "clean" looking, it would be best to keep all of it like that. My plan was to keep the shoulderpads clean and so I removed the iconography from his right leg with an X-Acto blade to match. While the armour is more ornamental in it's shape, it's a bit more simple in it's construction. Less trim and articulation, designs if present are bolted on... that kind of thing. The armour is still more functional at this point. I mean, he's still wearing leather gloves for crying out loud. I knew I wanted the hip plates similar to what Terminators wear, but I wasn't sure how to get them at first. A quick look through the bits box came up with this solution. Using the groin plate with the iconography cleaned off (for the clean, uncluttered look), I managed to find two that I could use. They fit perfectly at the top of his legs and look like they've always been there. In some of the later photos, you'll see that I added a half tabard to his back as well to match the front one. The weapon was going to be a big challenge. I knew this right from the start. It had to match the picture or he would be mistaken for a Grey Knight every time. I guess you could call it the "old school" version know since it has the bolt pistol built into it and all the cool kids have them strapped to their wrists instead these days. I'm not gonna lie, this was the hardest thing to build on the guy and should be undertaken with the utmost in patience and a brand new X-Acto blade. 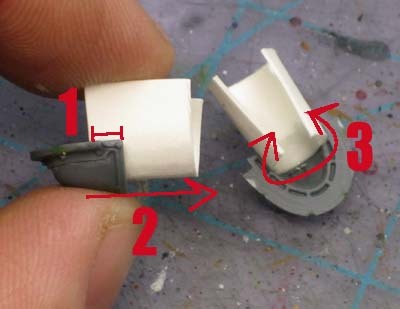 If you're not comfortable working with tiny,delicate pieces, then this conversion job may not be for you. It requires the bits seen above (and we're only using the red portions) along with some greenstuff and a handful of pins to hold it all together. There is something else you'll need and that's a piece of plastic (round) so that you can scratchbuild a new barrel for the bolt pistol. I ended up using a portion of a plastic banner pole that I cut to length and carefully drilled out for effect. The finished weapon is somewhat fragile given it's shape and size, but it adds so much to the completed piece. Without it, I don't think the model would be the same. He'd look like every other Grey Knight out there. And the greenstuff cables are just supper thin pieces rolled out and glued in place after the whole thing was assembled and attached to the model. 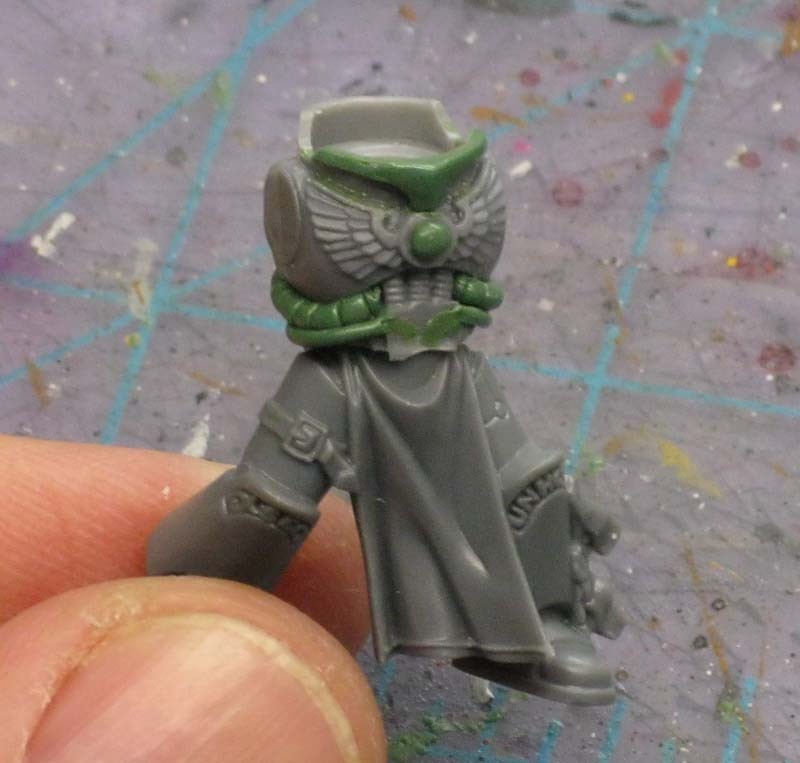 The torso started out as the regular Sergeant torso with the raised collar piece. I knew I was going to have to make a few modifications to it. The collar had to be built up and I had to remove the center skull and replace it with a single gem. I ran two sets of cables from around back up to his abdomen. The front connection points would later be covered with his belt buckle. I built his belt buckle (seen in later pics) with an oval piece of plasticard and some greenstuff over it for texture. I wasn't too worried about the actual design as I knew it was going to be partially covered with his arms and short sword attached to his belt later on. This portion took the longest to get right. With his arms, I needed to keep a number of things in mind as I put them together. I ended up greenstuffing his shoulder joints along with his wrists and needed to make sure the arms would fit over his chest without creating problems for his shoulderpads to be attached later on. What a production getting this part together. These were the most time consuming. Not the hardest thing to build, but they took forever to get done. It wasn't until I was looking over the artwork one day that I realized they were shaped differently than regular shoulderpads. The bottoms were angled and not level. What a huge difference. There was no way around this one. Had I left them "normal," my Client would have most likely been disappointed and this guy would have crept that much closer to looking like a regular power armoured marine. In the end, it's a subtle conversion, but it changes the feel of the model considerably and gives him a very unique look. 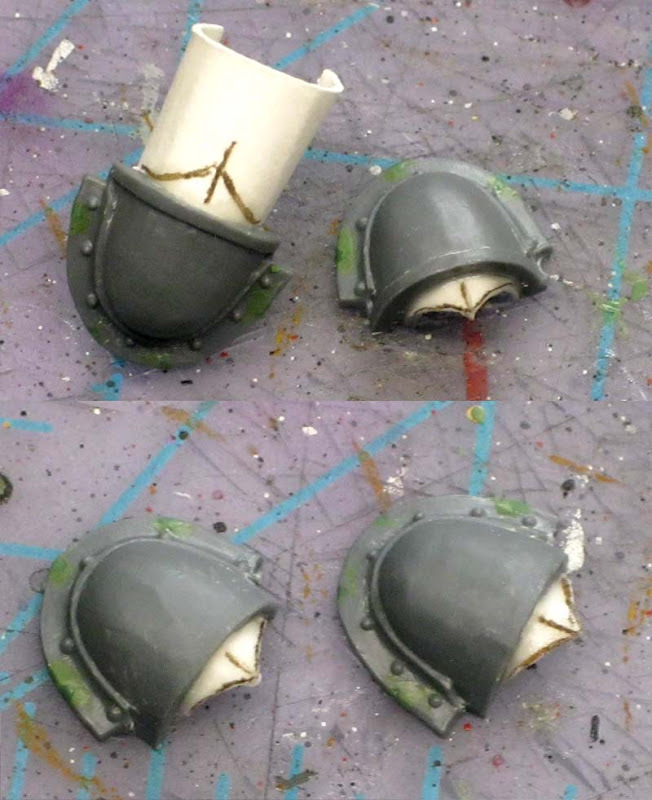 I started with a set of regular Chaos shuolderpads that had the flange on them. I filled in the dents with greenstuff and removed all the Chaos iconography. Then came the hard part of adding the angled portion to the bottoms. I superglued a small piece of cardstock into each shoulderpad making sure that (#1) it didn't go up too far (and reduce the space for the arm) and (#2) that it was positioned at the correct angle for the shoulderpad to continue on. It also had to go all the way around and form to the inside shape of the shoulderpad (#3). This was going to form my framework I was going to sculpt the additional portion on top of. Once the cardstock was glued in place, I added my lines so I knew where to cut it away for the additional angled part. Once I had the excess cut off, I used my superglue and added a few more drops to the cardstock to secure it in place so I could actually sculpt over it. I tried to make sure both pieces were at the same angle and matched as close as possible. I went so far as to label each one (R and L) once I got started because as I worked, one would look better on a particular arm over the other one. With something like this, it's almost impossible to get an exact match, so putting them on the arm that they "fit" onto better was the smart thing to do. The actual sculpting wasn't impossible... the hardest part being to make sure the underside edge was a perfect as possible since the arms were going to be raised and it would be visible. Before I added the angled portion, I carefully scraped away the bottom piece of trim so it was smooth. I also cut it back at a slight angle so I was not trying to sculpt right up to a corner. 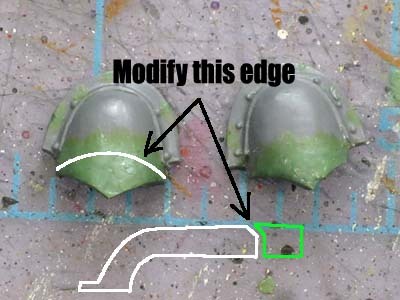 This allowed me to feather my greenstuff edge for a super smooth transition. Once everything had cured, I went in with my X-Acto blade and cleaned up the surfaces slightly trying to get my corners and edges as sharp as possible so it didn't look like a sculpt. While these shoulderpads really make the model stand out, this is a one-off. Doing this for an entire force would be too much and you'd really need to find a way to cast a handful of them if you were serious about using this style. 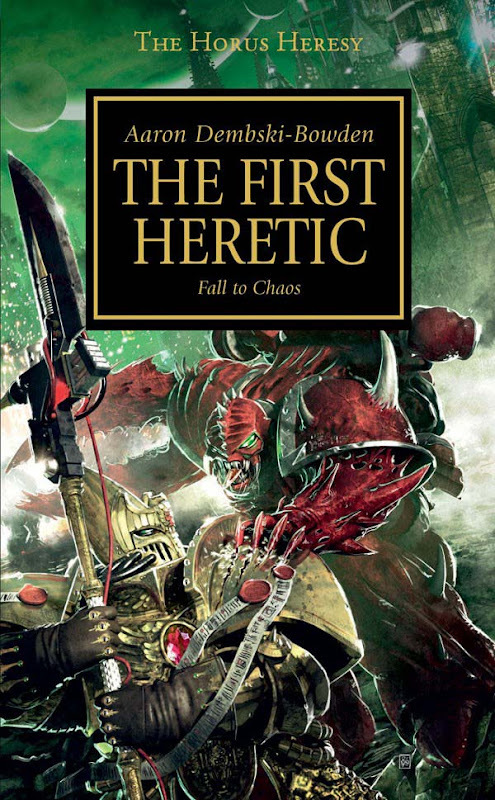 You can see one of the "key" Adeptus Custode elements of the pointy helmet is not there. Instead, we opted for the unhlemeted head with mowhawk for good measure. The purity seals are made from cardstock and shaped to fit the position. I wanted the long flowing ones seen on the model. 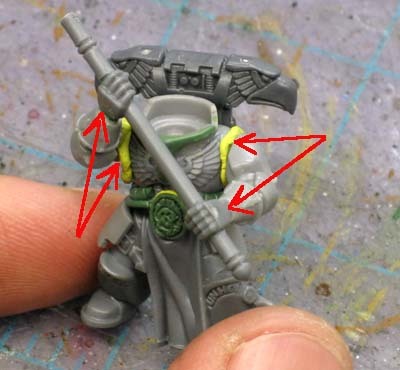 The short sword attached at his belt comes from the Space Wolf sprue (minus the iconography). And the base comes from Secret Weapon miniatures, they are from the Urban Streets theme. Up to this point, my only other experience with Adeptus Custodes has been painting a squad for a friend of mine. These guys are unique and with some much artwork out there, it can be tough sometimes to nail down exactly what you want your's to look like. Make no mistake, when done well, they are an absolutely gorgeous force. I hope that I've been able to take the artwork, come up with a solid feel to the model and make it something my Client can use in his army. It's been a challenge building this guy. Great conversion Ron, the Scibor heads work brilliantly for Custodes. As soon as I saw the new Grey Knights I had this in my head but didn't know where to start and now you've made it look possible. My heart thanks you, my wallet feels worried! Not noticed the backpack before, where's that from? I've been a lurker of FtW for some time now. You always seem to achieve new heights and give us new inspiration. Keep up the good work! 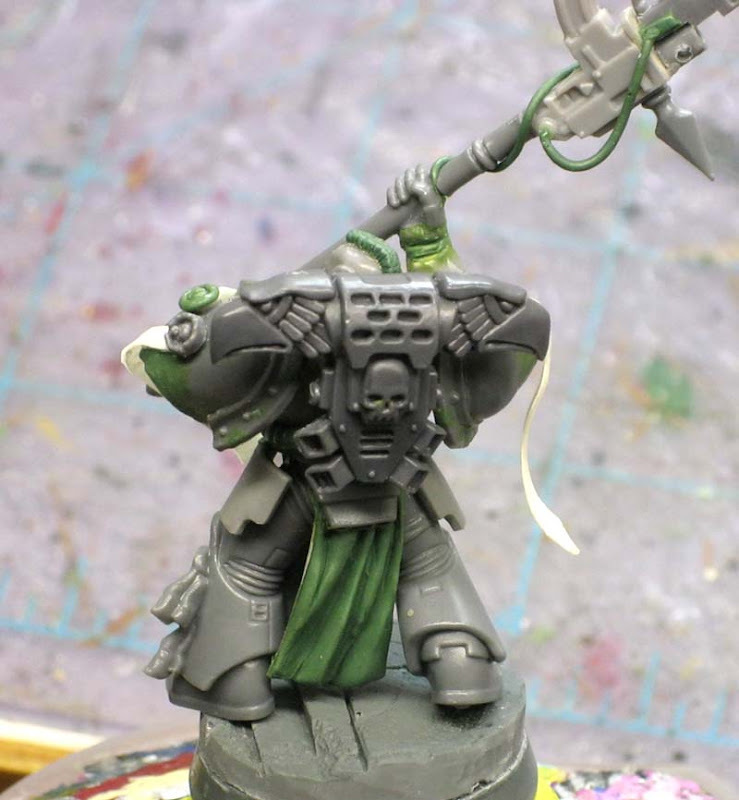 @Karrde: The backpack is from the Space Marine Commander plastic kit if I remember correctly. Fantastic! Great conversion and excellent walkthrough. Thanks for taking the time to post this! Awesome work, and not much different from some of the work I've been doing over at the buddy times blogspot. 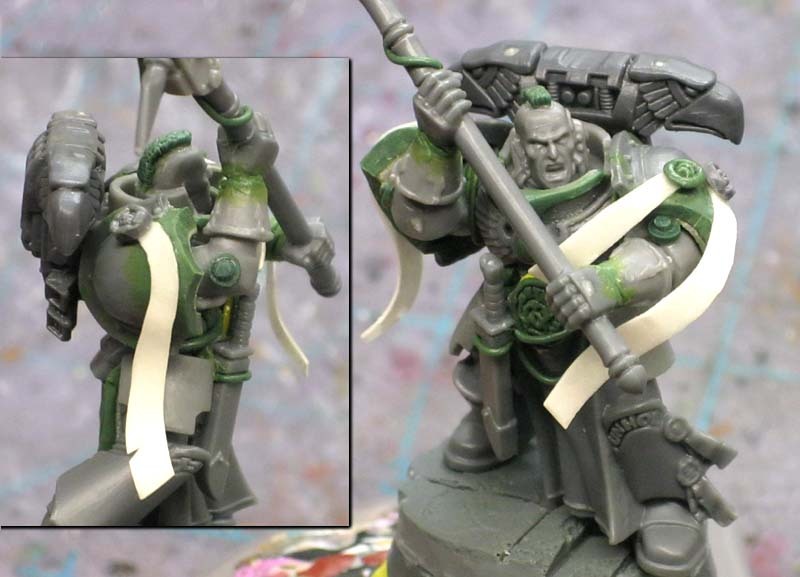 Again your green stuff and hyper attention to detail really pulls the model together. Damn dude, that looks amazing!! I absolutely love your conversion work and your paint for that matter. I actually used another one of your tutorials, on the glowing eyes effect the other day and it came out OK, in photographs it looks wrong but in the flesh it seems to looks good as the eyes are the brightest and it works out from there, let me know what you think if you have a chance. Keep up the great blog/hobby work, I love reading these articles and I always get something from each one. Looks great, Ron. Been trying to figure out a way to easily add a gorget to my marines. Something that has been bugging me... how do you go about applying the super glue to index card? Do you have a paint brush dedicated to spreading it out thinly or do you use the GW glue with the brush included? Thanks folks, I appreciate the kind words. 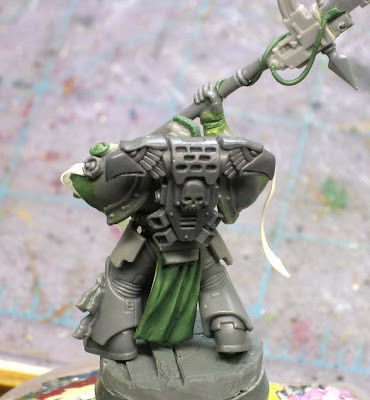 Karrde: Tempor is correct, the backpack comes from the Space Marine Captain kit. Hashshashin: I had a post a while ago about conversions living and dying by the details. You don't have to have all of them, but you do need the important ones to carry the model. Red: Send me an email with a link or better yet some pics and we can go over it. It might be a case of a minor tweak and you'll be spot on. Messanger of Death: You know, I get that question a good amount. Let me put a quick post together to show folks exactly what I'm talking about. It makes cardstock into plasticard and can be much easier to work with. In all seriousness, that is one amazingly crafted model. 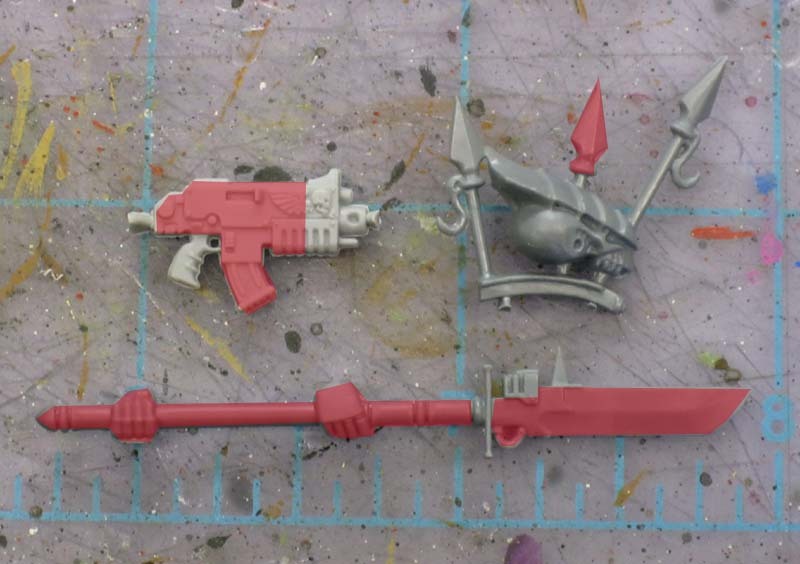 That's the best Custodes weapon I've seen yet. Awesome work overall as well. Thanks guys. It's a bit tougher than I thought it would be trying to carve out a "look" for them with all the reference material out there and looking at all the different approaches already taken. Awesome stuff, Ron. Every time I see your work on one of my bases I get giddy too. Always flattered that someone with your skill chooses to use my products. I really am loving your GS skills. I find it a real monkey and am too impatient/perfectionist to use it as it never looks swish, so it becomes a filler or a barely seen thing, like when joining a PA tabard front to a termy front torso, etc. I have been looking over at Still Frosty and friends White Scars blog. 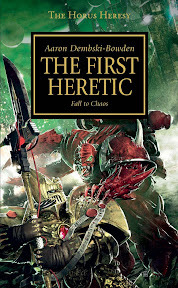 You know, the Tulwar wielding Marine and Storm seer would look pretty sweet, you know the one from the Index Astartes WS article in, I think, WD 258? misterjustin: I already have you slotted for a spot in the commission que... I'm looking forward to doing some work for you. Marshal: Thanks. Greenstuff is one of those things that anyone can use for a number of things. If it's just filling gaps, then there's nothing wrong with that. I don't know the Marine you're talking about, I'd have to go back and look at the IA article first. As for the GK bits, they open up a whole new range of possibilities for conversions. Just wanted to chime and say how fantastic this conversion looks, truly impressive, nice work!